January 3, 2019 | Fulton, MD Adding to the record-setting year of successful deals, the attorneys of Offit Kurman’s Mergers and Acquisitions (M&A) Practice Group are pleased to announce the closure of another business transaction. Attorneys Glenn Solomon and Kelcie Longaker represented Bunting Door & Hardware in its acquisition of a local company with synergistic products and services. The transaction closed on November 30th. Bunting Door & Hardware is one of the largest distributors of wood and hollow metal doors and frames, architectural hardware, specialty doors, and bath accessories in the Mid-Atlantic region. Since 1983, the company has serviced commercial construction companies and institutional clients, supplying quality and service at a competitive price. “Offit Kurman is proud to represent an industry leader and assist it with its continued growth,” said Mr. Solomon. 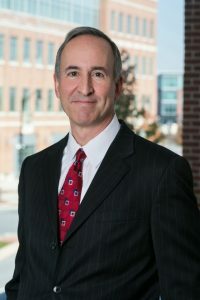 Bunting Door & Hardware’s acquisition of a local company is among dozens of successful M&A deals for Offit Kurman clients closed in 2018. To help business owners take advantage of the current market, the firm’s M&A Practice Group has published several articles and resources. To learn more, and to get in touch with an Offit Kurman M&A attorney, click here. 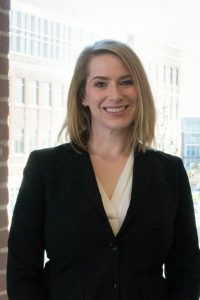 Ms. Longaker’s primary areas of concentration include general corporate advising, administrative hearings, and state and federal appellate litigation. She advises start-ups and small businesses during all stages of the business’s life-cycle.